In a soup pot put the water, the roots of the leek minced and the white part diced, (reserve the green leafs for later), corn and carrots, bring to a boil, reduce flame and simmer for 10 minutes. Add the wakame simmer 3 to 5 minutes, add the diced green leaf of leek. 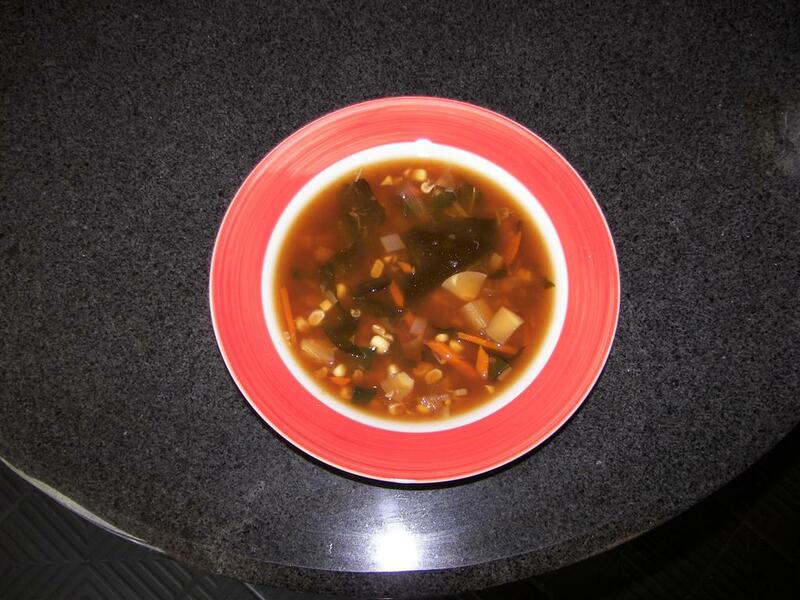 On the side mix the miso with some hot broth and dilute with the back of a small spoon. Pour the miso into the corn soup, continue to simmer another minute and serve with some cut up scallions for garnish.